Noun. Colloquial (originally US). Mid-20th century. Also as 2nd element of combinations with specification of ingredients, as beefburger, cheeseburger, nutburger, etc. What could possibly be more American than apple pie? The burger: that patty of ground meat tucked between two buns - or, hell, between two slices of apple pie. 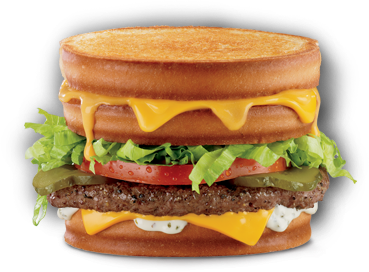 OK, I'm actually surprised I haven't seen that variation of this American staple, but I still could never imagine wrapping my mouth around the Jack in the Box "Stacked Grilled Cheeseburger." Yes, that's a real cheeseburger whose top bun is a grilled sandwich. 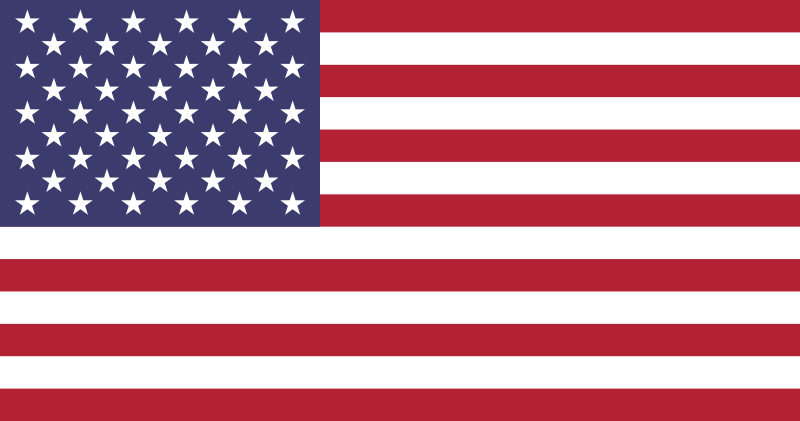 And yes, for me, it's a veritable symbol for American culture. The burger is democracy. Young and old, rich and poor can rub elbows at the diner countertops. The burger is colonialism. There are 34,492 McDonald's across the globe. The burger is adaptation, picking up the flavors sought by whatever hand lifts it to its hatch, from teriyaki to taco sauce. The burger is ubiquity, as one is never more than 107 miles from a Big Mac in these United States. The burger is innovation, where black truffles and a fried quail egg can form long lines outside posh urban eateries. The burger is tradition, joining families' grills and picnic tables for holiday cookouts. The burger is competition. Local dives lay generations-old claims to the best burgers in town. The burger is community. Roadside stands welcome weary travelers for warm platters or friends meet up for a bite at the corner bar. The burger is simplicity, easy as some meat and bread and a few condiments. The burger is excess, such as the "Quadruple Bypass Burger" plated in Vegas. The burger is contradiction, often not even a hamburger at all: veggie burgers, turkey burgers, chicken burgers, buffalo burgers, ostrich burgers, or fish burgers. The Jack in the Box "Stacked Grilled Cheeseburger" ... mhmm! We may always be striving to build the perfect burger, but what builds the word burger? Like its cultural contradictions, the etymology of burger is straightforward yet complex. 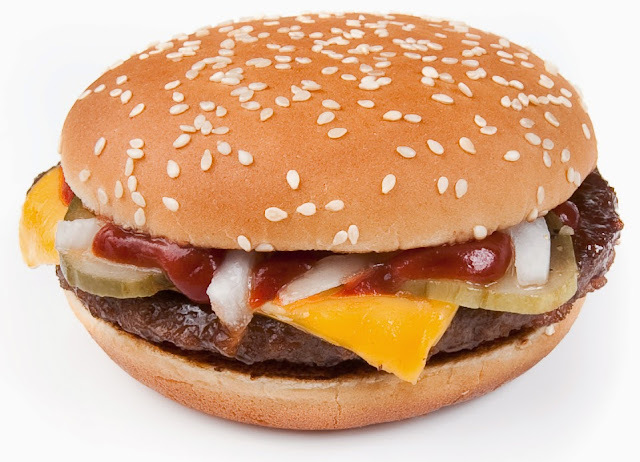 Burger is short for hamburger, originally treated as a proper noun, Hamburger, which first appears in "Hamburger steak." A Hamburger, of course, refers to a resident of Hamburg, Germany, or describes something from there, a la frankfurter or wiener. According to the OED, a Hamburg or Hamburger steak, also a kind of sausage, is a "dish composed of flat balls of meat-like fillets, made of chopped lean beef, mixed with beaten eggs, chopped onions and seasoning, and fried." A Hamburg steak is first attested in 1884 in The Boston Journal, although likened to the preparation of chicken. "Hamburger steak" is first attested not longer after in 1889, in this delightful debut from the Walla Walla Union: "You are asked if you will have 'porkchopbeefsteakhamandegghamburgersteakorliverandbacon.'" I couldn't find any context for this, but you know what? Part of me doesn't want to know. Why this meat product and its patty progeny came to be named for the German city is unclear. 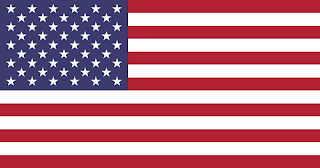 It's been posited that a great deal of German immigrants left for the United States from the city in the 19th-century. Hamburg joins burg ("fort") with ham, which likely derives from the Old High German for "back of the knee," itself from an older form meaning "crooked," such as the bend in the river in Hamburg, or from a Proto-Indo-European term for the shin bone. This ham was later transferred to the meat. So, in this sense, there is some kind of ham in hamburger after all. Food historians have proposed that the Germans adapted what became the Hamburg steak from Baltic traders or the Tatars (or Tartars, as in steak tartare or tartar sauce) who are said to have eaten minced or shredded beef raw. But the birth of the hamburger as food is the bun: many claim this innovation, but the origin is in dispute (I have to roll my eyes at this, for as long as there was cooked meat and bread, I am pretty sure man was putting them together). 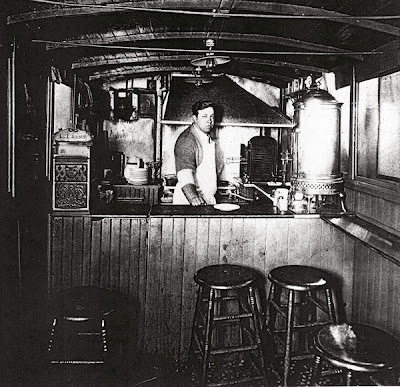 Yet, according to the American Library of Congress, a Danish immigrant, Louis Lassen, served up the first burger in America at his lunch wagon, Louis' Lunch, as far back as 1895 in New Haven, Connecticut. Various lore surrounds it, but a conservative Lassen is said to have used up his extra meat scraps by serving them on a bun. In our tongues and on our tongues, burgers are messy, but that's exactly how the best burger should be. How do you build the perfect burger? Do you have any information on the whereabouts of the Hamburglar? That was really interesting, and led to a more elaborate lunch than I'd planned. Does the OED really refer to flat balls, because until now I thought I knew what a ball was...hey, but perhaps it's FLAT I'm confused about. Ah well, perhaps this means I can join the flat earth society after all. That's funny, Sally, because I thought the same thing: What could a "flat ball" possibly be? Perhaps a bit flat, a bit round? Principally flat but slightly round? You're killing us here, OED. I only eat veggie burgers. What a well-researched post! Great job! I have strict rules when it comes to burgers. 1) It must be possible to eat it like a burger. If it's physically impossible to handle it or bite it as a burger, it's not a burger - it's a monstrosity. 2) There is a definite (but as yet undefined) burger:bread ratio. If the bread ratio is too high, the burger is diluted to the point of ridicule (a homoeopathic burger, perhaps). If the burger ratio is too high, then it's just a piece of meat with two small, sticky pieces of bread on either side. I'll still eat it, but I won't be happy about it. 3) If it's vegetarian, it's not a burger. 4) If it's vegetarian, it's *not* a burger. Oddly enough, these were the same preferences we requested of the lady at the adoption agency. We're still waiting to hear back from her. Whenever possible, burgers should be eaten with condiments applied evenly and excessively. For me, this means individual application for each bite. I also believe the center bites of the burger, with grease-soaked bun, to be the most delicious portion and therefore consumed last. So if you ever see someone carefully layering ketchup, ranch dressing, and seasoned salt to the circumference of a burger, you can safely assume you've run into me. I'm so glad you made it! Let's order extra fries. 1) Burgers must not be square. 2) Burgers must be juicy. 3) Burgers must be served with ketchup. 4) More ketchup, Ireland. Seriously. Packets will not suffice. 2) Not too fussy. Please experiment with flavors, but don't experiment at the expense of a good burger. 3) If it's a conventional burger, include all the fixin's: tomato, onion, lettuce, pickle, mustard, ketchup, mayo. 4) Like Eddie, right bread:burger ratio and it has to be handled like a burger.